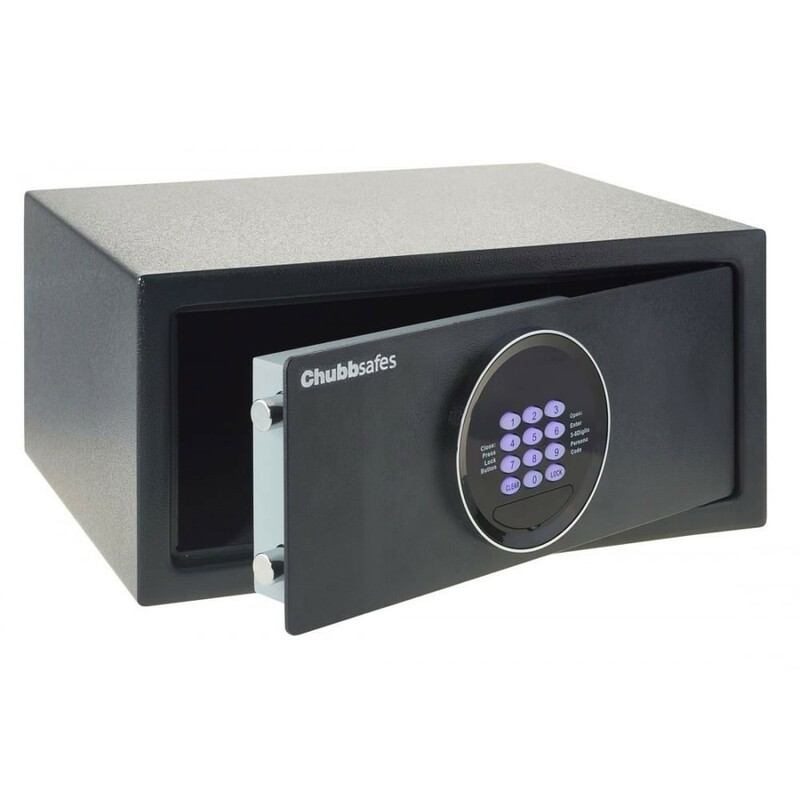 The Chubbsafes Air Electronic Lock Hotel Safe is a compact safe ideal for student accommodation, hotel rooms or any other location with frequent turnover of occupancy. It is supplied with an anchoring kit to prevent unaunthorised removal. Once fitted, it has a recommended cash rating of £1,000 and valuables of £10,000. 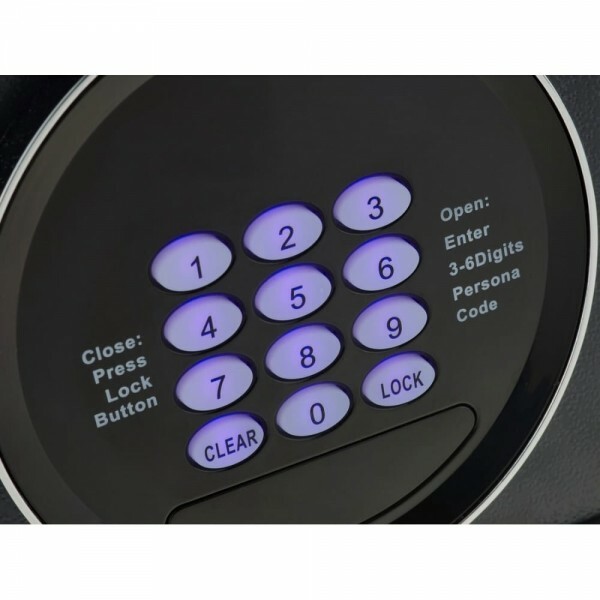 This safe is operated using an electronic lock with a programmable mastercode and audit trail facility and has a key override option. The Chubbsafes Air Electronic Lock Hotel Safe has 4mm thick steel door and 2mm thick steel body frame.